Acute pain is your body’s way of bringing your awareness to an immediate issue. It is an essential biological signal that says, “Pay attention. Something just happened. Something is wrong.” Chronic pain is different. It may increase or decrease in severity but it is the longevity of the complaint that makes a pain “chronic”. With acute pain, a hypnotherapist would send you to a doctor. With chronic pain, your doctor would send you to a hypnotherapist. During the 60’s man headed towards the moon. There wasn’t a lot of room in a Mercury Space Capsule. Lightweight food and drug development were part of the space race. That’s when Madison Avenue and pharmaceutical/chemical companies in the U.S. launched ad campaigns touting chemical dependency in opposition to natural food and drugs. Dow Chemical and Kellog’s were advertised side-by-side in women’s magazines. “Life is better with chemicals!”, was the Dow slogan. TANG was better than orange juice and fortified cereal was better than whole grains. If you were a good American, you ditched your grandmother’s old family pain remedies and you popped a pill. We became a country of pill poppers. So it should be no surprise that though we make up 5% of the world population, the US consumes 80% of the world’s narcotic pain medication. How does the rest of the world cope with pain without meds? In parts of the world where medication is unavailable, there is a conscious awareness that life must go on in spite of it. The focus is directed towards accomplishing goals and living life. Alternative medical therapies are widely accepted. That is an 180-degree shift in how the US deals with pain. Prescribing medication four times a day subconsciously places an emphasis on pain, making patients more suggestible to its influence. In hypnotherapy, we subconsciously move pain back to the background, where it belongs. The UCLA Integrative Medical School, a program where Western medicine is combined with other healing philosophies, researchers found that many different modules of alternative wellness therapies affect chronic pain. The efficacy of cognitive behavioral therapy, acupuncture, hypnosis, placebo drugs, yoga, meditation, mindfulness, tai chi, biofeedback, music, touch and art therapies, was studied on cancer patients, patients with lower back pain and patients with Irritable Bowel Syndrome (IBS). Researchers studied each therapy and how it affected pain, anxiety, sleep performance, fatigue, depression and the overall quality of life. (Meditation, mindfulness, and placebo drugs are part of the hypnosis family but for this study they were considered to be separate.) Each therapy produced an improvement in two or three categories with one or two of the conditions. 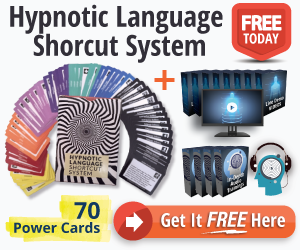 Suggestive hypnosis alone produced positive results with all three patients, but hypnosis using imagery hit it out of the ballpark in all seven categories with all three patients. IBS patients were found to have improvement in normalizing bowel function and a feeling of a greater sense of control. Cancer patients took fewer daytime naps and had more energy and less depression. Lower back pain patients sometimes forgot to remember that they had pain. Hypnotic-imagery was discovered to have a profound analgesic effect in all of the conditions studied without any major side effects. Researchers know that imagery works but they are not sure why and how it works better than other alternative therapies or hypnosis using direct suggestion. I am not a biologist or a doctor, so I will explain the theory as simply as I understand it. Researchers think that imagery stimulates all of the senses in a way that other therapies do not. That stimulation disrupts the connectivity of the signals to an area of the brain called the Anterior Cingulate Cortex, responsible for memory, learning, and emotion. In the previous Modulating Pain article, I described how chronic pain is comprised of all three. If your memory of pain, your prediction of pain and your feeling towards pain is uncoupled, your thinking patterns change and your perception of it and perspective on your life with it, is altered. It may well be that finally, western medicine is catching up with what hypnotherapy can do for their patients that they can’t. Doctors admit, surgery for pain is not always an option or successful. Opioid treatments have medical side effects, are addictive and over time, stop working. Alternative modalities of medical treatment perform well, but the best treatment for chronic pain is to introduce hypnotherapeutic imagery at the onset. It calms anxiety, reduces inflammation, increases circulation and lessens the symptoms of the condition causing pain. Early introduction of hypnotic pain control mitigates the negative emotions associated with pain, delaying the severity of the illness and reaction to it. Patients begin to see pain not as the focus of their attention but more like something to be dealt with when there is time. This lower level awareness reduces pain to a tolerable level. Sheryl Hill holds a certification in clinical hypnosis from the International Medical Dental Hypnosis Association and the International Association of Counselors and Therapists. She specializes in conditions related to medical/dental diseases and environmental hypnosis.